Its recent $65 million expansion has made it one of the nation’s largest museums for contemporary art. The exhibition space has grown to more than 250,000 square feet, a huge showcase for modern creativity. The museum embraced the town’s industrial past, but is replacing manufacturing with art and culture sufficient to keep North Adams alive? MASS MoCA occupies a repurposed factory building complex built between 1870 and 1900 by the Arnold Print Works, a business which operated on the site from 1860 to 1942. It was later used by the Sprague Electric Company before its conversion. MASS MoCA has undeniably made a difference in the region’s economy. 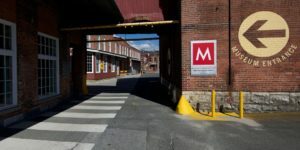 According to a 2015 study compiled by economist Stephen Sheppard, who works at nearby Williams College, MASS MoCA added roughly $34.4 million to the local economy that year, generating 383 jobs. With the new expansion receiving national press, and a series of community economic programs in place to capitalize on the buzz, this summer may showcase just how much the museum can and does mean to North Adams and the region. But in a period of economic anxiety and hand-wringing over how to rebuild rural economies, is contemporary art enough? Despite the impressive stats about the size and scope of the building, for many in the community, only one number matters. Over 4500 employees worked at Sprague Electric at its peak. The MASS MoCA staff and other businesses on the campus employ one-tenth as many. But for many supporters, the idea that the good old days will return is a false narrative. Karen Hopkins, who helped open the Brooklyn Academy of Music, a transformative neighborhood art center, now consults with MASS MoCA and the local government in North Adams to help design programs to further the museum’s potential as an economic catalyst. Times have changed, she says, and it’s time to embrace solutions that work today. In the 1980s, Sprague began to face difficulties with global changes in the electronics industry. Cheaper electronic components were being produced in Asia combined with changes in high-tech electronics forced Sprague to sell and shutdown its factory in 1985. 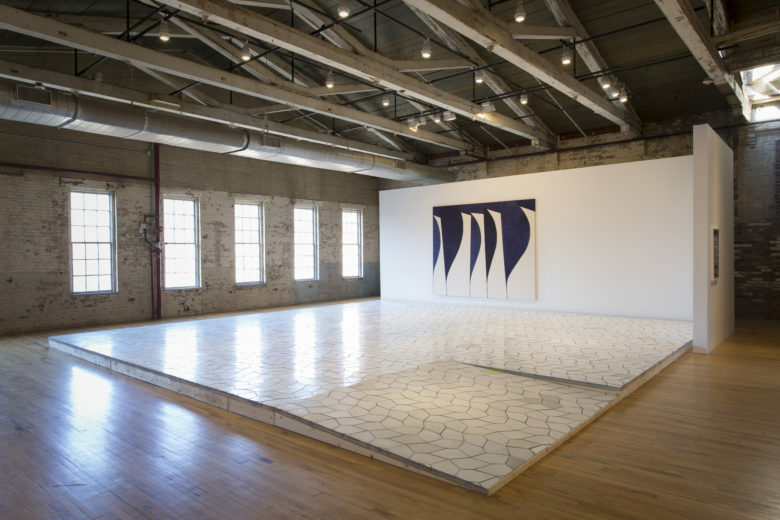 MASS MoCA opened with 19 galleries and 100,000 sq ft (9,300 m2) of exhibition space in 1999. It has expanded since, including the 2008 expansion of Building 7 and the May 2017 addition of roughly 130,000 square feet when Building 6 was opened. Photo by Beyond My Ken via Wikipedia. In addition to housing galleries and performing arts spaces, it also rents space to commercial tenants. It is the home of the Bang on a Can Summer Institute, where composers and performers from around the world come to create new music. The festival, started in 2001, includes concerts in galleries for three weeks during the summer. 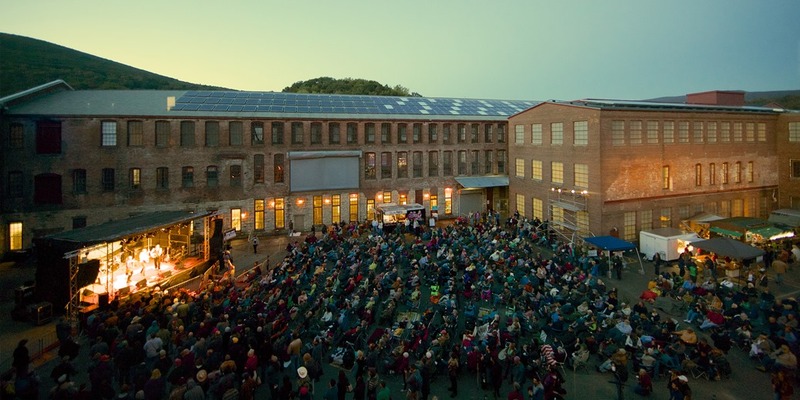 Starting in 2010, MASS MoCA has become the home for the Solid Sound Music Festival, curated by Wilco. The development of MASS MoCA began a year after Sprague vacated the buildings. In 1986 a group of staff from the nearby Williams College Museum of Art were looking for large factory or mill buildings where they could display and exhibit large works of modern and contemporary art that they weren’t able to display in their more traditional museum/gallery setting. They were directed to the Marshall Street complex by the mayor of North Adams. When they spent time with the space, they quickly realized the buildings had much more potential than an offshoot gallery. The process for MASS MoCA began. It took a number of years of fund-raising and organization to develop MASS MoCA. During this process the project evolved to create not only new museum/gallery space but also a performing arts venue. 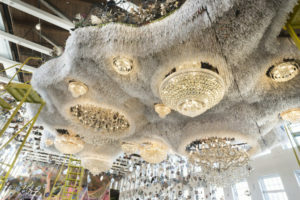 The transformation was chronicled by photographer Nicholas Whitman’s Mass MoCA: From Mill to Museum. The museum was granted $18.6 million by the Commonwealth of Massachusetts after a public/private coalition petitioned the state government to support the project. 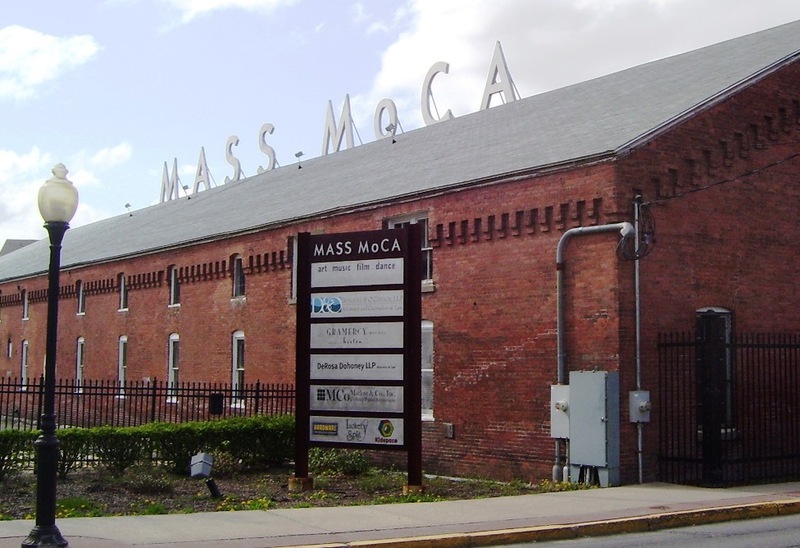 In 1999 MASS MoCA opened its doors. Designed by the Cambridge architecture firm of Bruner Cott & Associates, it was awarded highest honors by the American Institute of Architects and the National Trust for Historic Preservation. On May 29, 2017, Building 6 was opened as gallery space, adding some 130,000 square feet of exhibition space. 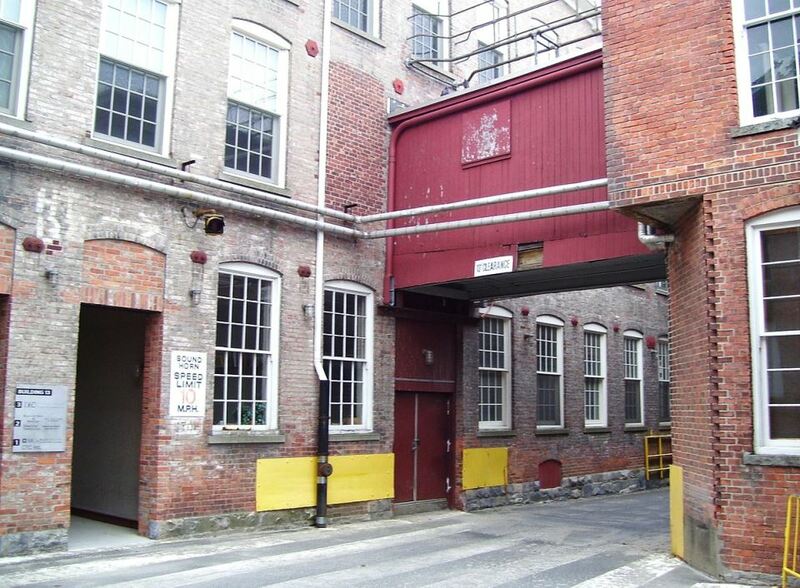 The buildings that MASS MoCA now occupies were originally built by the Arnold Print Works. These buildings, however, were not the first to occupy this site. Since colonial times small-scale industries had been located on this strategic peninsular location between the north and south branches of the Hoosic River. In 1860 the Arnold brothers arrived at this site and set up their company with the latest equipment for printing cloth. They began operating in 1862 and quickly took off. Aiding their success were large government contracts during the Civil War to supply cloth for the Union Army. In December 1871, a fire swept through the Arnold Print Works factory and destroyed eight of its buildings. Rebuilding started almost immediately and an expanded complex was finished in 1874. Despite a nationwide depression during the 1870s Arnold Print Works purchased additional land along the Hoosic River and constructed new buildings. By 1900, every building but one in today’s Marshall Street complex was constructed. In 1942 Arnold Print Works was forced to close its doors and leave North Adams due to the low prices of cloth produced in the South and abroad, as well as the economic effects of the Great Depression. The more-recent occupant was the Sprague Electric Company, a local North Adams company. It purchased the Marshall Street complex to produce capacitors. During World War II Sprague operated around the clock and employed a large female workforce—not only due to the lack of men, but also because it took small hands and manual dexterity to construct the small, hand-rolled capacitors. In addition to manufacturing electrical components, Sprague had a large research and development department. This department was responsible for research, design, and manufacturing of the trigger for the atomic bomb and components used in the launch systems for the Gemini moon missions. At its peak during the 1960s Sprague employed 4,137 workers in a community of 18,000. Essentially the factory was a small city within a city with employees working alongside friends, neighbors and relatives. The company was almost completely self-sufficient, holding a radio station, orchestra, vocational school, research library, day-care center, clinic, cooperative grocery store, sports teams, and a gun club with a shooting range on the campus. Today, MASS MoCA presents more than 75 performances year-round, including contemporary dance, alternative cabaret, world music dance parties, indie-rock, progressive bluegrass, outdoor silent films with live music, documentaries, and avant-garde theater. Indeed, the word “museum” in the name is misleading, because fully 50% of MASS MoCA’s programmatic resources, staffing, and emotional bandwidth is devoted to the performing arts, and our commitment extends to hosting work-in-progress showings, residency workshops, and support of experimental R&D. MASS MoCA also offers a wide range of participatory learning opportunities for students, teenagers, teachers, adults, and families, including: hands-on art-making classes; lectures; Art Assembly performances for schools; artist Q&As; docent-guided tours; art camps; after-school programs; and Kidspace, a child-centered art gallery and hands-on studio that offers in-depth art education through curricular-based classroom programs with local schools, as well as free public admission all year round. 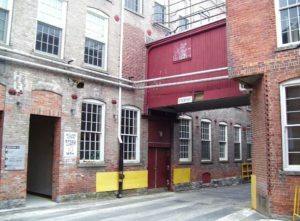 If conventional museums are protective boxes, MASS MoCA strives instead to be a dynamic open platform—a welcoming environment that encourages free exchange between the making of art and its enjoyment by the public, between the visual and performing arts, and between our extraordinary historic factory campus and the patrons, workers, and tenants who once again inhabit it. They strive to make the whole cloth of art-making, presentation, and participation by the public a seamless continuum… invigorating, enjoyable, and inclusive. Through innovative collaborations, MASS MoCA helps artists and their supporters create and show important new work, bringing to visitors bold visual and performing art in all stages of production, creating a stimulating center of creativity and commerce that brings life and economic vibrance to the region. REVITALIZATION thanks Julia Oxarango-Ingram, Director of Southern Idaho Rural Development for bringing Mass MoCA to our attention. See MassMoCA website & featured photo credit. See PBS Newshour interview (video and text). See Curbed article by Patrick Sisson.